Pre-Earthquake signals are advanced warnings of a larger seismic event. A better understanding of these processes can help to predict the characteristics of the subsequent mainshock. Pre-Earthquake Processes: A Multidisciplinary Approach to Earthquake Prediction Studies presents the latest research on earthquake forecasting and prediction based on observations and physical modeling in China, Greece, Italy, France, Japan, Russia, Taiwan, and the United States. 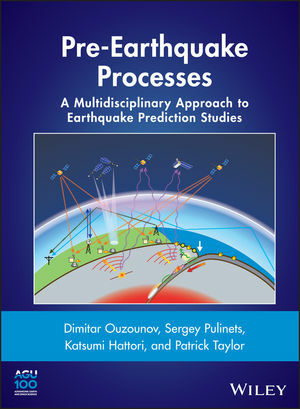 Written for seismologists, geophysicists, geochemists, physical scientists, students and others, Pre-Earthquake Processes: A Multidisciplinary Approach to Earthquake Prediction Studies offers an essential resource for understanding the dynamics of pre-earthquake phenomena from an international and multidisciplinary perspective.